You do not need to be a mom to read these stories. If you’ve been around children (Dads, Aunts, Uncles, Grandparents, Cousins, Step Parents, Foster Moms/Dads, Day Care Provider, Nannies, or Babysitters), then you will find a story in the mix that you can probably relate to. 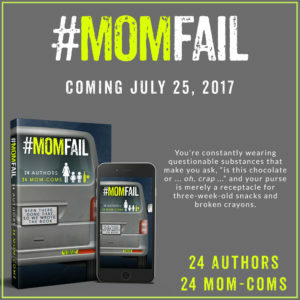 Basically, we’re a bunch of hot-mess moms who think our life “fails” are pretty funny.These stories were intended to be short, and offer you different flavors of motherhood fails by twenty-four authors who have their own parenting styles. 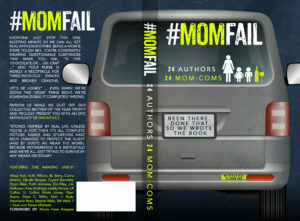 There are no cliff-hangers, but we purposely kept the stories under five thousand words so we could include as many ‘mom authors’ as possible.If you would like more content, each of us have our personal links at the end of each story, and we have a general Facebook page where moms who make mistakes can come together and share in the humor we experience as parents. How about a lil’ Afternoon Delight? Love Nouveau now on SALE *and* on Audible!